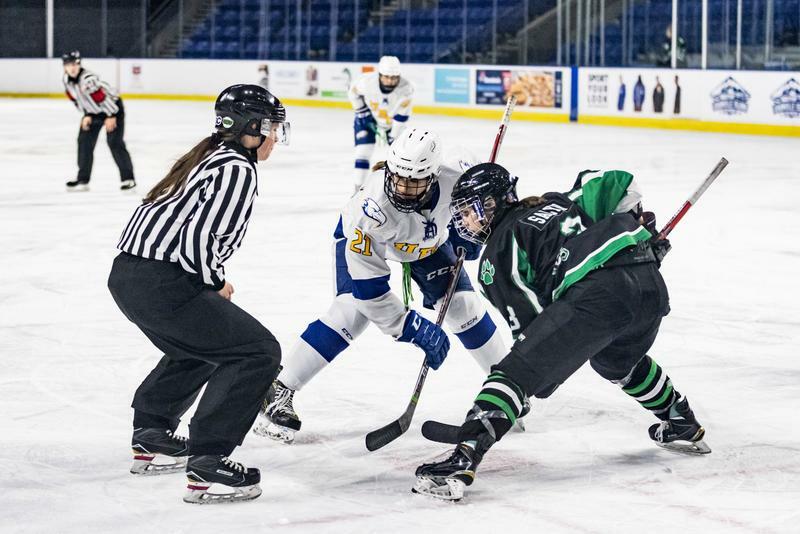 We’re coming down the home stretch in the regular season for several of the Thunderbird winter teams, and UBC’s rosters are peaking just at the right time. In the sports section, we hardly have any complaints about this past weekend. Lots of wins, lots of interesting highlights. Way to go, Thunderbirds. It was going to be one of the toughest weekends of the season for both Thunderbird volleyball teams: a trip to Langley to face off against one of the best volleyball programs in the country, the Trinity Western Spartans. For a women’s team that has been slowly picking up the pace over the last few weeks, it was a big test against the first-ranked Spartans roster. In a fortuitous turn of events, UBC came out on top in both of their games: 3-1 and 3-0. It was the first Canada West losses of the year for the current national title favourites. Kiera Van Ryk led the team on both nights with 12 kills on Friday and 19 on Saturday, another strong outing for their leading outside hitter. The wins also put UBC on a four-game win streak as they head into their bye weekend. On Friday night, UBC women’s hockey hosted their third annual Mental Health Awareness Night, a tradition that’s held in honour of former teammate Laura Taylor, who took her own life in 2016. 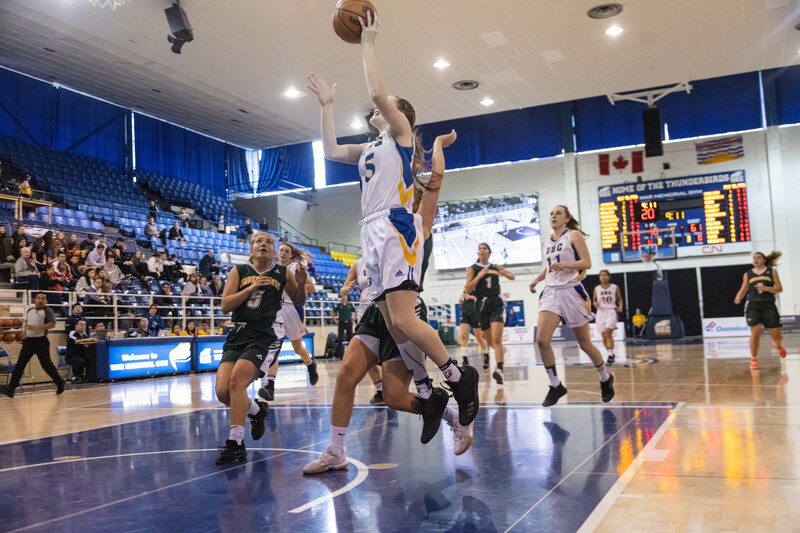 They faced the Saskatchewan Huskies in the match — and while it was a low-scoring game, it didn’t come without its fair share of excitement for the almost 500 fans in the stands. An Ashley McFadden shorthanded goal would give the Thunderbirds their seventh win of the season. Goaltender Tory Micklash also hit a Canada West milestone, earning her tenth shutout in the league. It’s the same old story coming out of War Memorial Gym: men’s basketball is continuing to dominate. They now sit on 16 wins in a row with a 17-1 record in Canada West. Patrick Simon was the leading man for the T-Birds in both of their games against the University of Northern British Columbia Timberwolves this weekend. He put up 20 points and 8 rebounds on Friday, and 12 points and 9 rebounds on Saturday. It was perhaps the perfect send-off for the senior, who was playing in his final regular season game at UBC. The women’s team had a tougher time this weekend, splitting their series against UNBC. The T-Birds track roster got their season started away from home over the weekend, with the University of Washington Invitational. Highlights included a three-way tie for first place for rookie Trinity Hansma in the high jump; she cleared 1.74 metres to take top spot. It was the first big moment of her blue and gold career, and her personal best in the event. Senior Nicola Symonds had a strong finish in the women’s 3,000 metres with a time of 9:35.56. While the women’s hockey team had a strong weekend at home, the men’s team had a much different story unfold in Regina. After clinching their playoff spot last weekend against the Dinos, the positive vibes came crashing down against Canada West’s top dogs: the Saskatchewan Huskies dismantled the Thunderbirds 4-0 and 5-0 on Friday and Saturday. The losses put UBC on an 11-11 record in Canada West.